The beds were very comfortable. It’s modern looking and spacious. 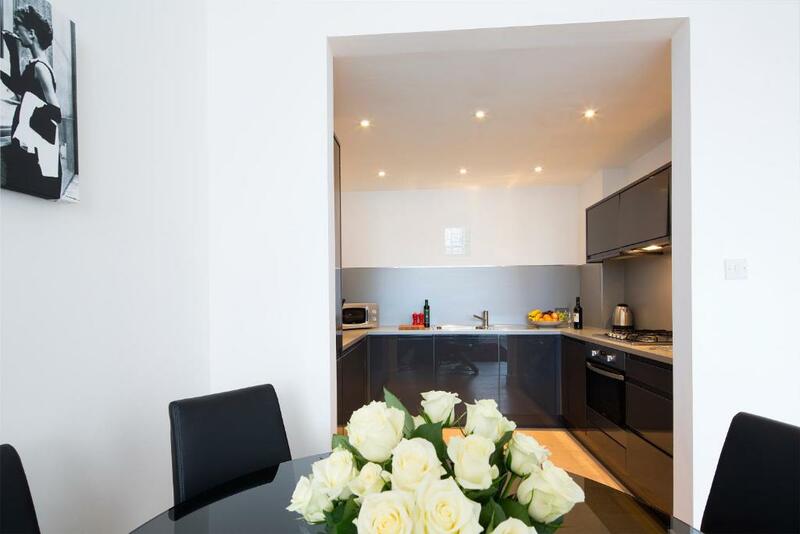 The location of the apartment is just perfect for the real vibrant Shoreditch experience. The space was nice and large, and the apartment was clean and the kitchen well stocked. Appartment Size. Kitchen. Washing machine. Check in and check out arrangements. Near station and local grocery / restaurants. It was a great location to get to to the main sights in London. The apartment is great for families. My stepson lives just down the street, so the location was perfect for us. Can't comment on Shoreditch One, as we were upgraded to a larger apartment at Holborn One. It was spacious and clean, well located. Hosts were responsive. Well equipped kitchen. Shoreditch One This rating is a reflection of how the property compares to the industry standard when it comes to price, facilities and services available. It's based on a self-evaluation by the property. Use this rating to help choose your stay! Shoreditch One is just 5 minutes’ walk from Old Street Underground Station. These stylish apartments offer lots of space, close to Shoreditch’s bars and restaurants. Each of the apartments and lofts at Shoreditch One has smart décor and includes a flat-screen TV and a kitchen including a kettle, fridge, microwave, toaster, oven and a dishwasher. All accommodations has built-in wardrobes, luxury bed linen and towels and White Company toiletries. Shoreditch High Street Railway Station is half a mile from the apartments, while Liverpool Street Station and the heart of the City can be reached in around 20 minutes by foot. 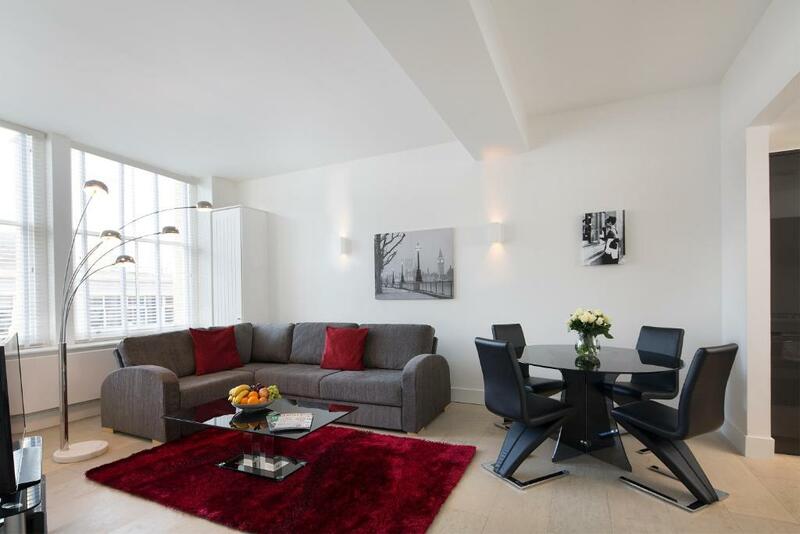 뀐 Located in the real heart of London, this property has an excellent location score of 8.2! 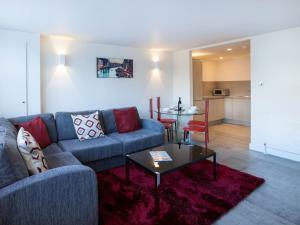 When would you like to stay at Shoreditch One? These apartments include a flat-screen TV and a kitchen including a kettle, fridge, microwave, toaster, oven and a dishwasher. The sofa bed is available in all apartments. 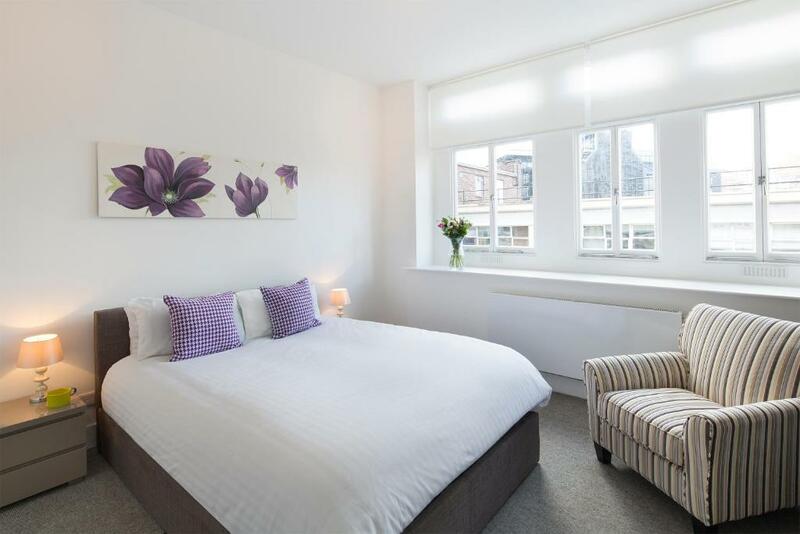 The apartments comes with double or twin beds, allocation is subject to to availability. These apartments include a flat-screen TV and a kitchen including a kettle, fridge, microwave, toaster, oven and a dishwasher. 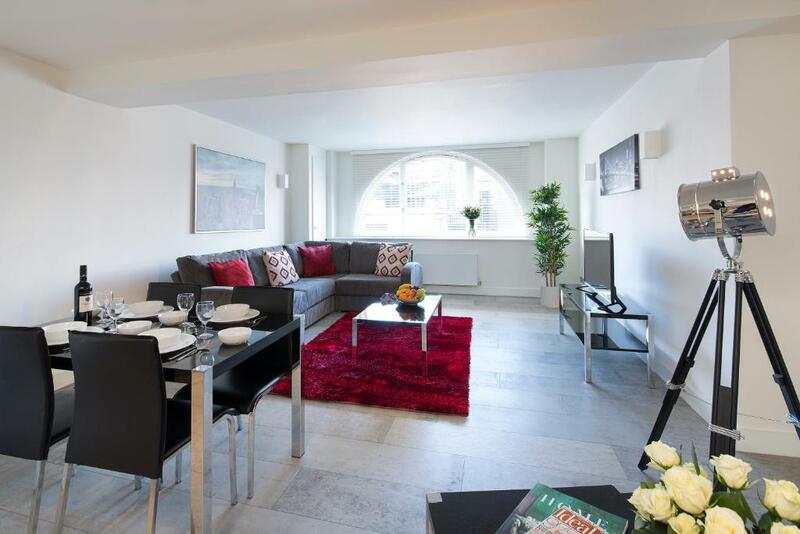 This is a one bedroom apartment located on lower ground. This loft includes a flat-screen TV and a kitchen including a kettle, fridge, microwave, toaster, oven and a dishwasher. 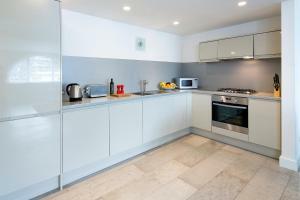 This is a studio apartment is located on the lower ground floor. This apartment features a dishwasher, microwave and oven. House Rules Shoreditch One takes special requests – add in the next step! A GBP500 damage deposit is required 7 days before arrival (about USD645.35). This deposit will be fully refunded 7 days after check-out, as long as there isn't any damage to the property. All children under 12 years are charged GBP 36 per night for extra beds. Any additional older children or adults are charged GBP 36 per night for extra beds. Shoreditch One accepts these cards and reserves the right to temporarily hold an amount prior to arrival. Please note, guests must be over 25 years old to stay in these apartments. Guests are required to send a photo ID via email prior to arrival. Additional information may also be required at the property's discretion which may include copies of payment card. The credit card holder will be asked to be present and have a valid photo ID upon arrival. The property may take a copy of your payment card. Provided details will only be used to verify identity and will be removed within 48 hours of your departure. A damage deposit of GBP 500 is required. The host charges this 7 days before arrival. That's about 645.35USD. This will be collected by credit card. You should be reimbursed within 7 days of check-out. Your deposit will be refunded in full by credit card, subject to an inspection of the property. Really bad network connection and around 3-4AM the streets were really loud and noisy; cannot get to sleep. Apartment needs a bit more tlc on the bathroom and out side too. Did no like check in is to late 4pm should be more early and check out should be 12. For the amount payed and not even 24 stay should have extra stuff to compensate . I like the location . The apartment was ok . Like the bist coffe and water . 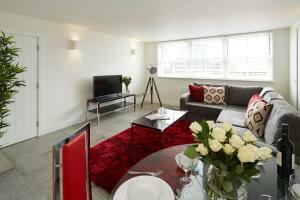 great sized apartment very close to Old Street Station with lots of restaurants and bars close by. Code which we get was not working. The elevator was broken for 90% of the stay. The WiFi router didn’t work 80% of the time. When the router did work the connection and WiFi speed was not good at all. We had to ask for the password to a different router to have internet access. The room gets very hot. In order to be manageable you have to crack windows open. Internet was a little on the slow side, but quite only about 2-4mbs but adequate for most, sofa not that comfortable as was a sofa bed. Very convenient for someone looking for a home from home, quite different from having a hotel, and is your own personal space, definitely would use again. had real issues with accessing the property, pointless and difficult security processes that are borderline un-compliant from a data security perspective... We were forced to share credit card information over email in order to access the property. Lift is a bit dodgy so the stairs can be a bit of a drag. Ideal apartment in a great location, always clean, comfy sofa and good wifi.